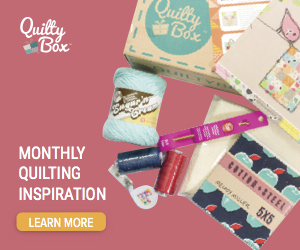 Are you ready for the next step in the Cricut Maker Block of the Week Quilt? 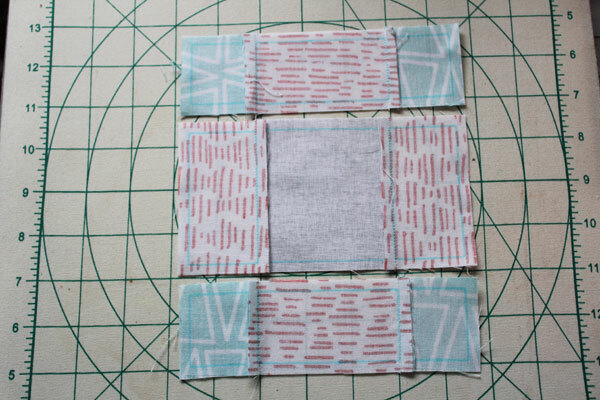 Today we’re making Block 2, the Uneven Nine Patch. 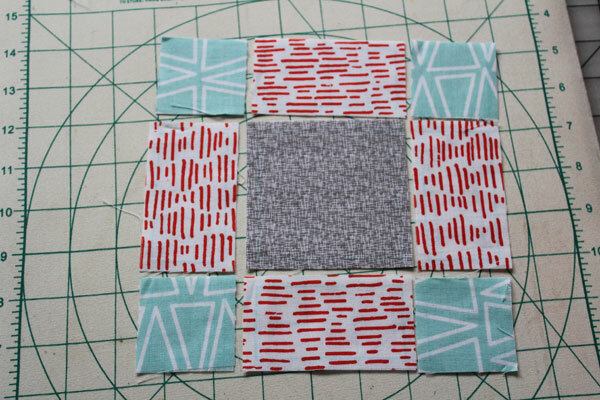 This quilt block is very similar to last week’s Nine Patch, but the fabric choices and sizes of the pieces are different. 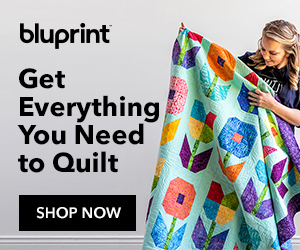 Each week I’ll share with you how to make another part of this quilt, until we have the whole quilt finished. The fabric is all cut and marked on the Cricut Maker machine. 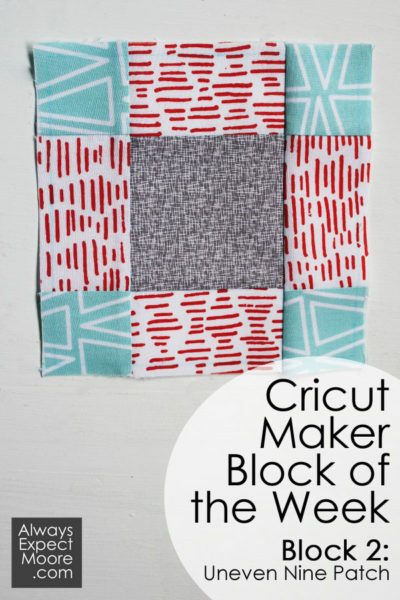 If you want the details, check out my Introduction to the Cricut Maker Block of the Week. 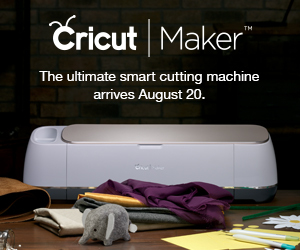 If you want to join in and don’t know where to start, check out the Cricut Maker Block of the Week Reference Page. It will get you current, and give you all the information you need. 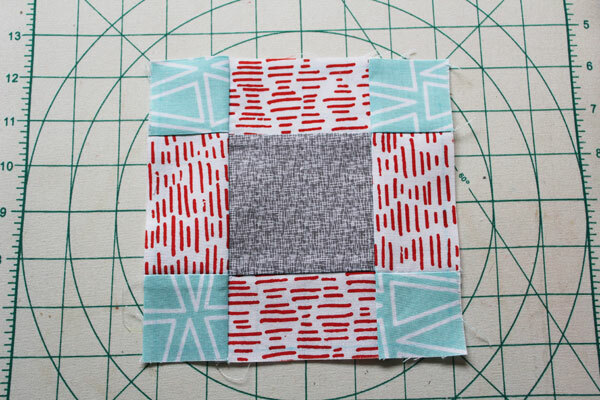 Before you start here, you need to have followed along on the introduction, borders, and sashing instructions, and make Block 1 – the Nine Patch. Make sure you’ve done that before you continue. 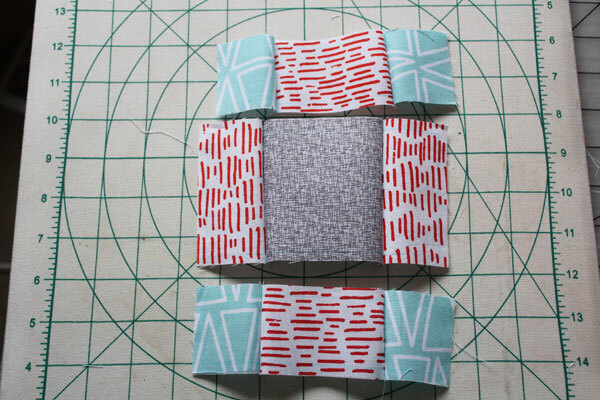 You can watch the week 2 video on the Uneven Nine Patch Quilt Block here, or follow along the steps below. 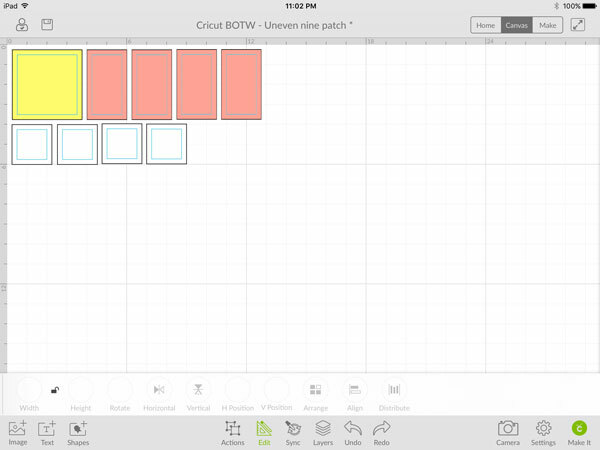 Open up the Cricut Maker Block of the Week Uneven Nine Patch file in Cricut Design space. 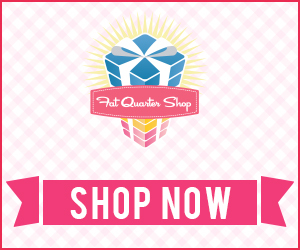 You can click on the link in the previous sentence to open it, but only from a desktop or laptop. 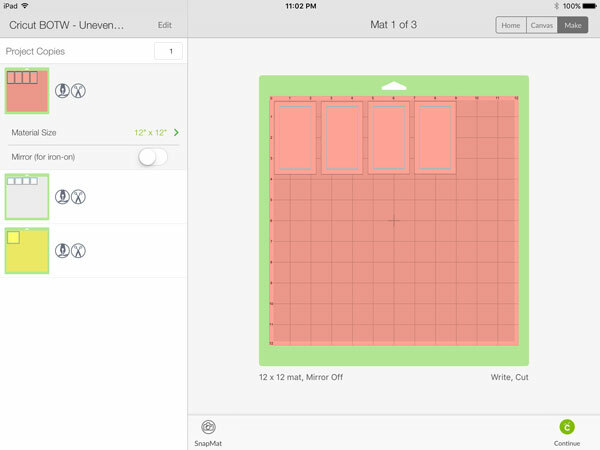 Make sure you have Cricut Design Space installed. You can then save the file to your files, and open it on any device that you are signed in on. 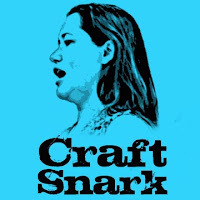 You’ll need the fabrics you labeled as yellow, pink, and white. Use the blue fabric pen to have the Maker draw the seam lines. You’ll need to install the fabric pen and the rotary blade before cutting. 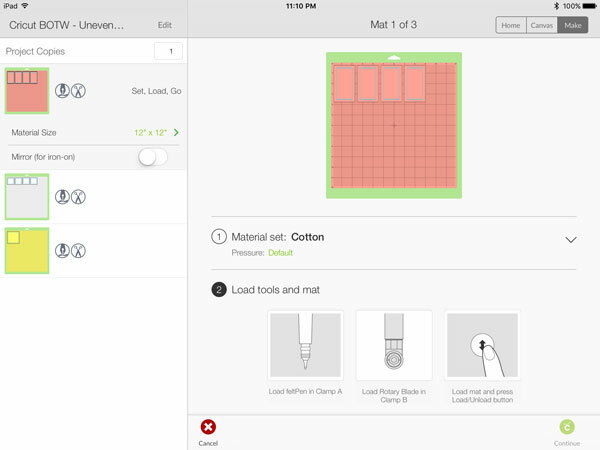 Lay out your fabric pieces. Stitch the pieces together to make rows, just like we did in the last block. Press the pieces. Press the seams towards the dark fabric. 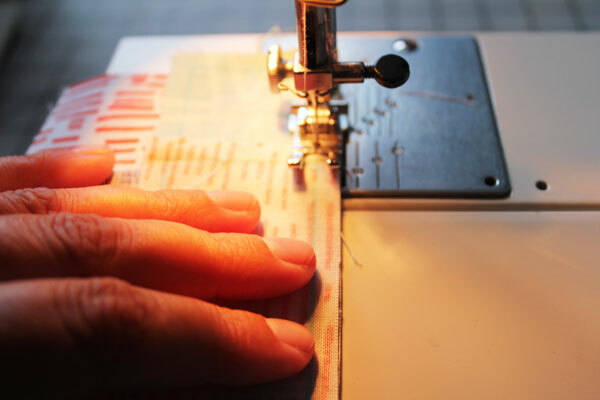 Make sure that the rows have the seams going in alternate directions. Here, you’ll see the top row has the seams going out, the middle has the seams going in, and the bottom row has the seams going out again. Now stitch the rows together, and your block is complete! 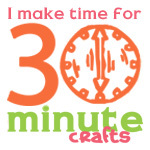 Come back next week for another fun quilt block!